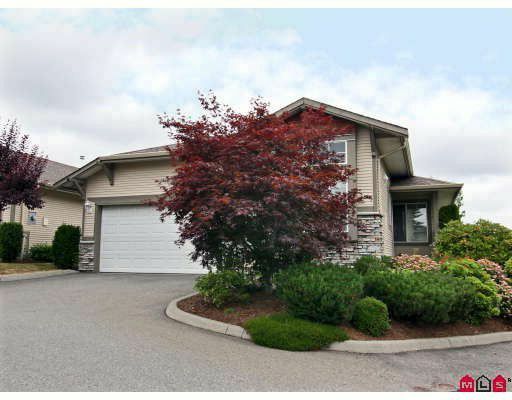 Stunning and bright end unit located in desirable COUNTRY RIDGE ESTATES! Detached rancher with 4 bedrooms plus den, full daylight walkout basement and only one neighbor. Brand new environmentally friendlybamboo flooring just installed throughout the main level. Large sunny windows in the kitchen and dining areas. Spacious living room and family room feature natural gas fireplace and plenty of room for the whole family. Daylight walkout basement with wet bar and patio off of rec room. Plenty of room for storage in the 3' crawlspace. Kids and pets are welcome. Ample back and side yard. Gorgeous well maintained complex with beautiful landscaping and plenty of visitor parking.